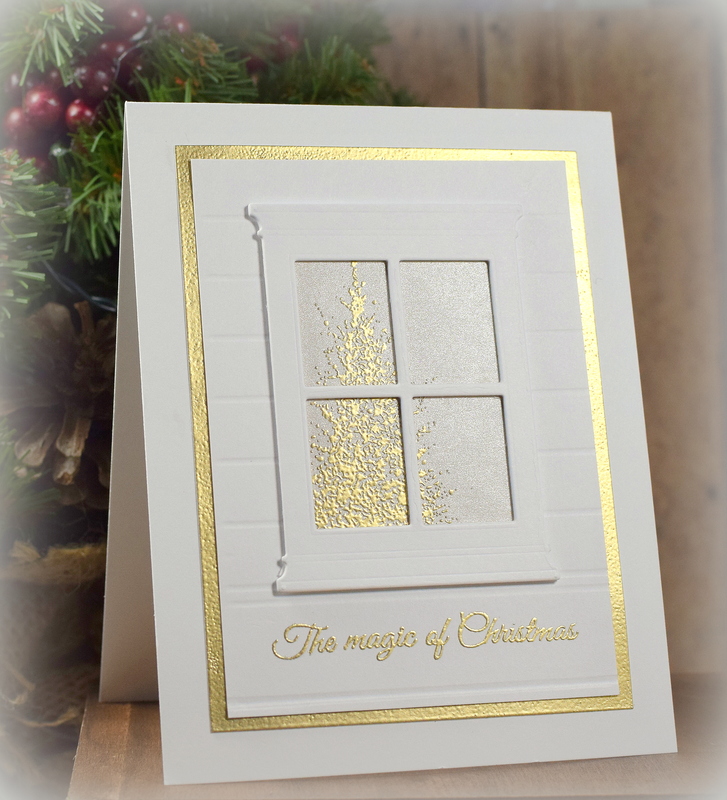 This gold and white card features the “Small Madison Window” die (style #816) by Poppystamps, inc. I cut and layered 4 of them to make the white window stand out against the white background. 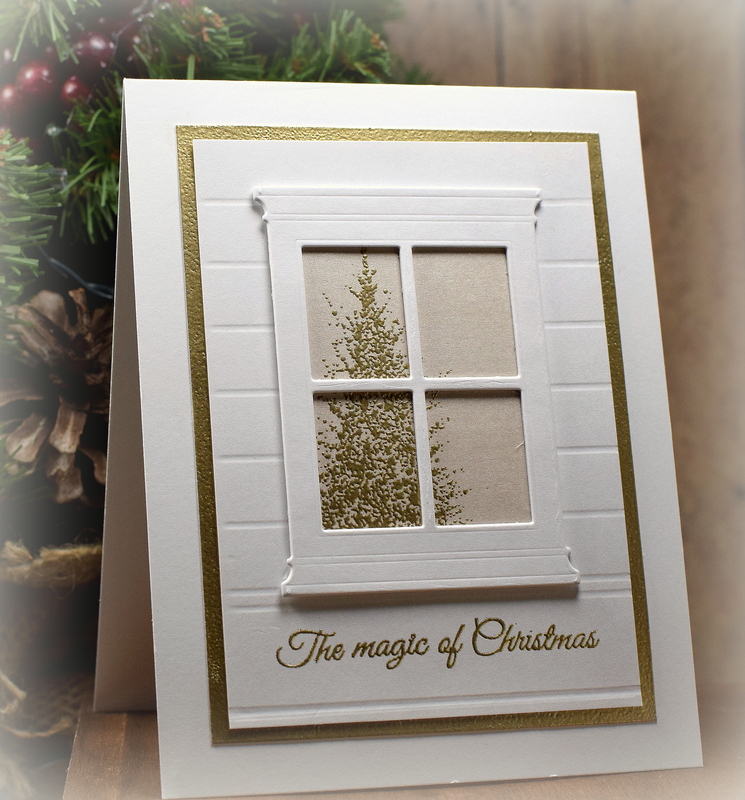 The tree in the window, the greeting, and the mat were all heat embossed with Gina K fine detail gold embossing powder. The tree is part of the Penny Black “Wonder Collection” stamp set that was a free gift with the Papercraft Essentials Magazine (issue 113) from September 2014. (The tree is called “A Splash of Winter” which is also available by itself.) 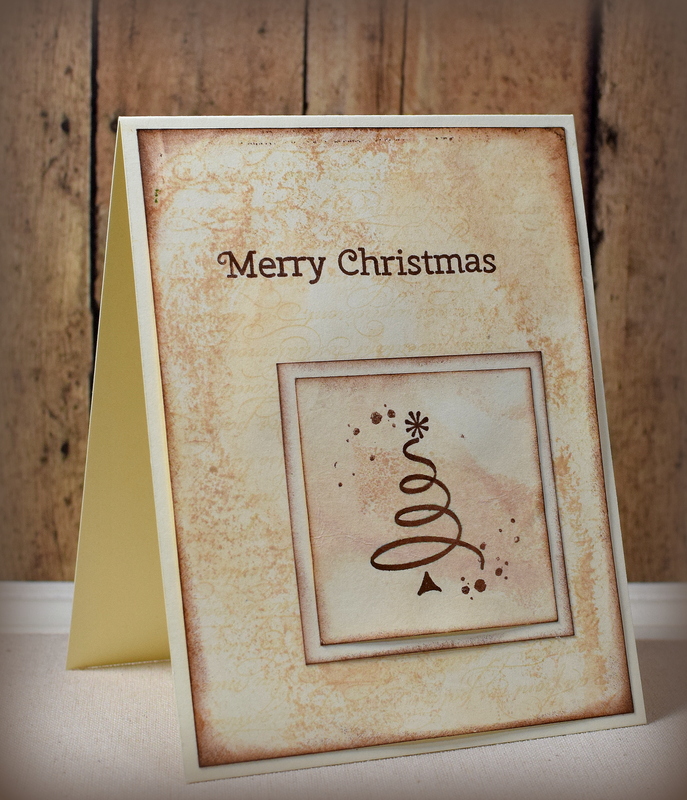 I used the “direct to paper” technique with a varsamark ink pad and the embossing powder to make the visible edges of the mat panel gold. 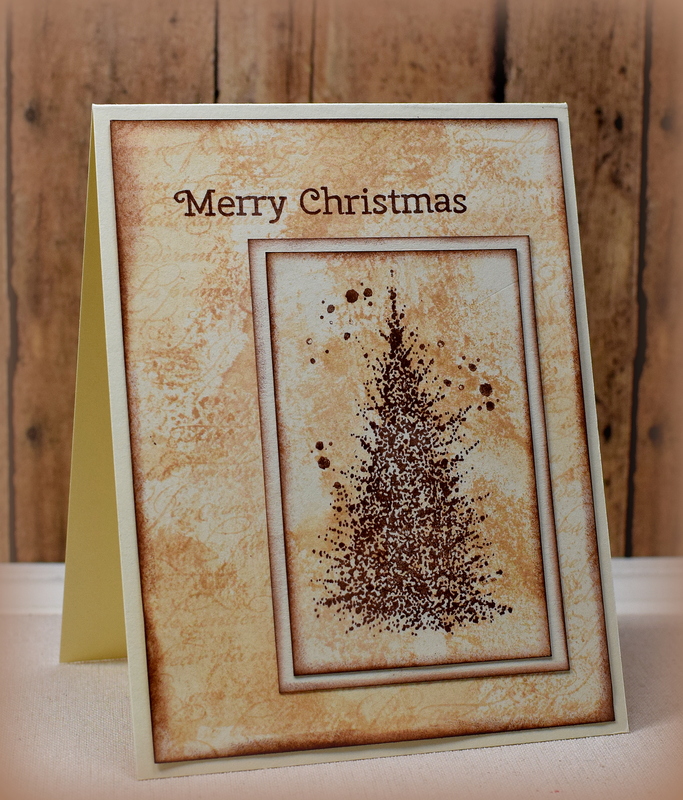 The tree was stamped/embossed on a piece of card stock from the Recollections Shimmer Silver and Champagne Card Stock pack from Michaels. This is the fourth of my cards with ornaments. 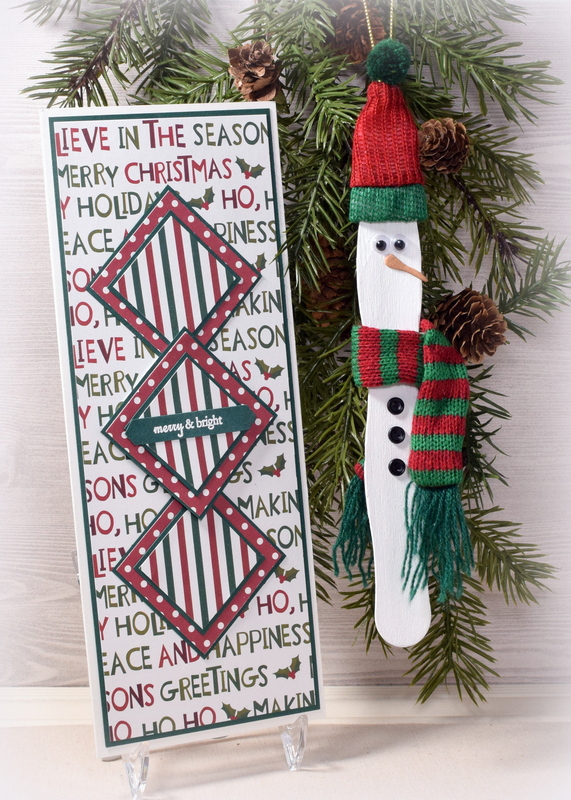 This one features a removable snowman ornament made from a jumbo craft stick. 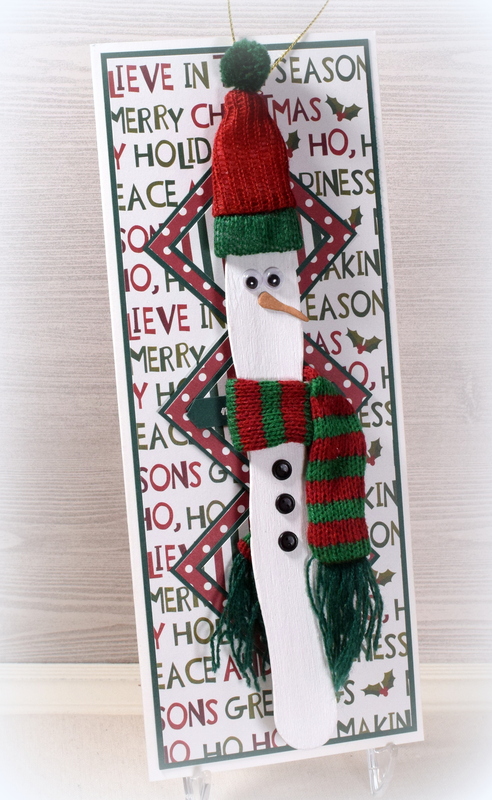 I sewed a small, strong magnet onto the back of the snowman’s scarf and placed another one behind the greeting panel so the ornament can easily be removed or placed back on the card. I debated between using regular craft/popsicle sticks or these jumbo craft sticks. I really liked the curvy shape of the jumbo sticks, but they are much longer than the craft sticks. Because I went with the jumbo ones, my card needed to be much longer than most cards. 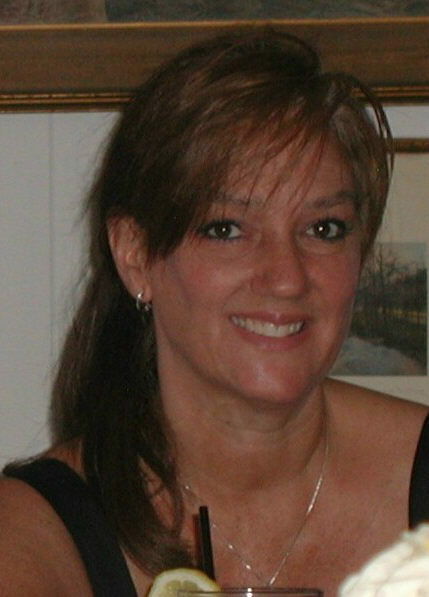 I remembered a video Gina K had done showing a card that fit into a regular business envelope and realized that size would be perfect! My finished card measures 3.75 inches x 9.25 inches. Unfortunately, with the ornament attached, the card is too bulky to mail as a regular letter/card so it will need to be sent from the post office as a package. 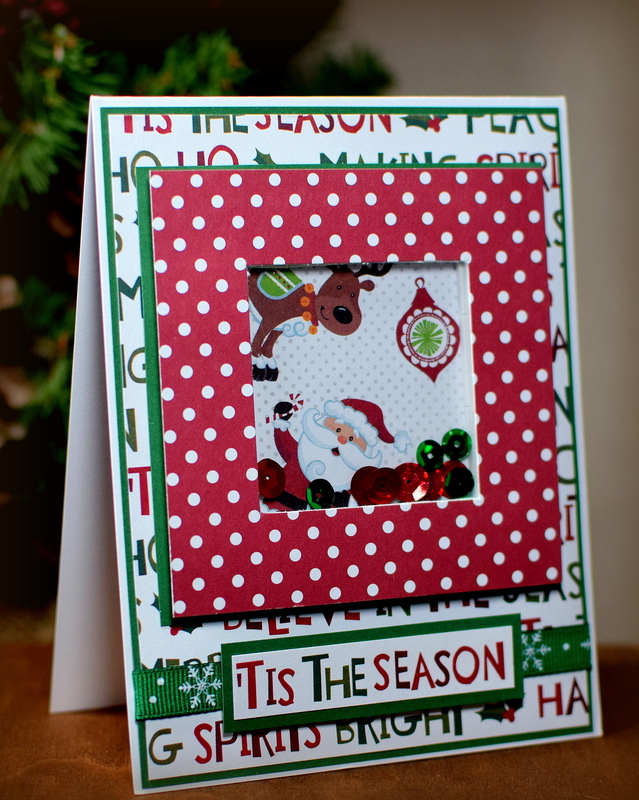 This is the third in my series of cards with ornaments. 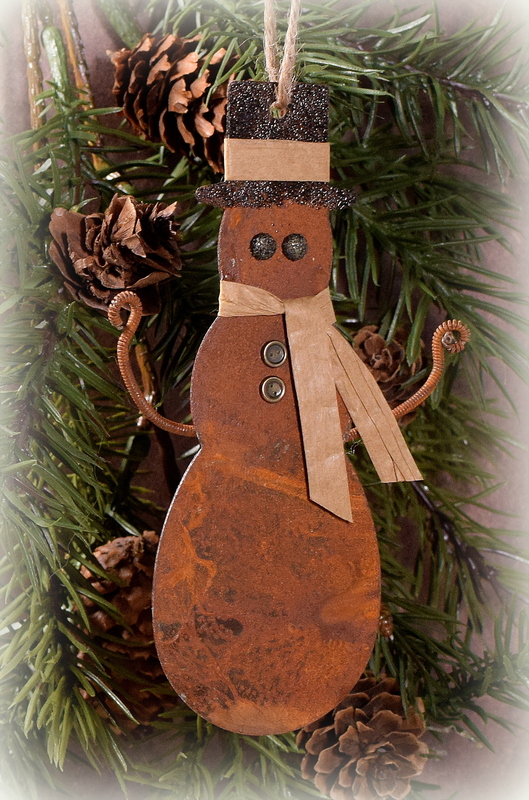 This one has a removable, rusty tin snowman ornament. 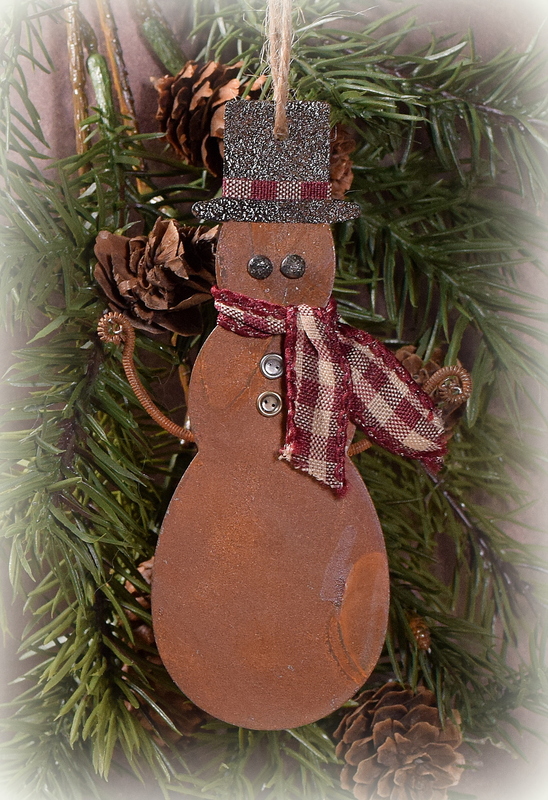 To create the ornament, I started with “Primitive Rusty Tin Snowman Garland” that I purchased online from Factory Direct Craft. I cut the garland apart with wire cutters (leaving some wire on both sides for the arms). Each piece of garland has 10 snowmen, so I was able to make a bunch of ornaments (and cards). I punched holes for the eyes, buttons, and hanger in each one with my We R Memory Keepers Crop-A-Dile. 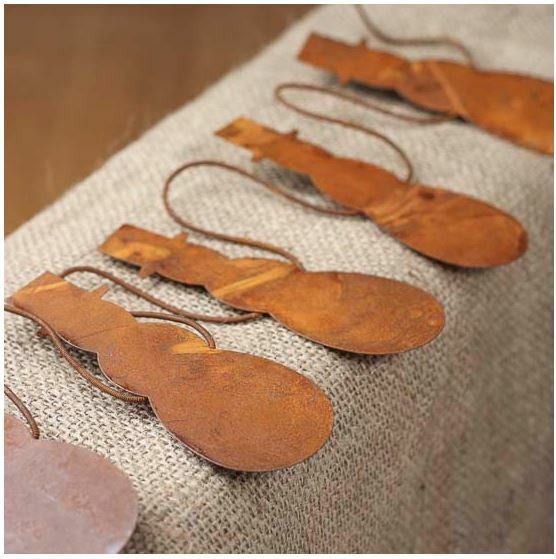 I used versamark and Tim Holtz Walnut Stain Distress embossing powder to create the rough finish on the hat and on the mini brads used for the eyes. The mini button brads (and brads for eyes) are both Recollections (from Michaels). Wired ribbon was used for the scarf and trim on hat. 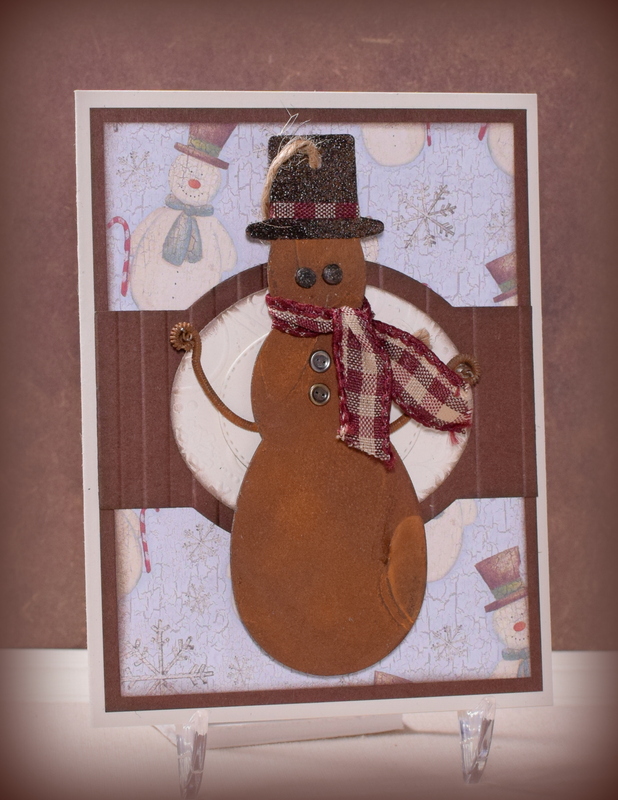 For the card, I used “Country Snowman” patterned paper by The Paper Studio (from Hobby Lobby) and some brown (unmarked) card stock from their open stock. 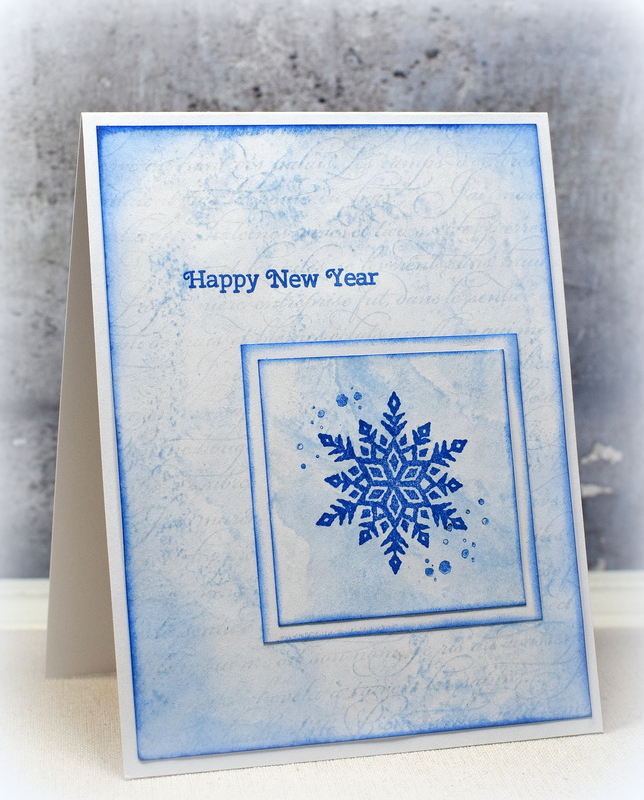 I also used some “Rustic Cream” card stock from Papertrey Ink. 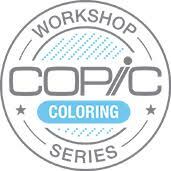 All the edges were inked with Gina K Charcoal Brown ink. 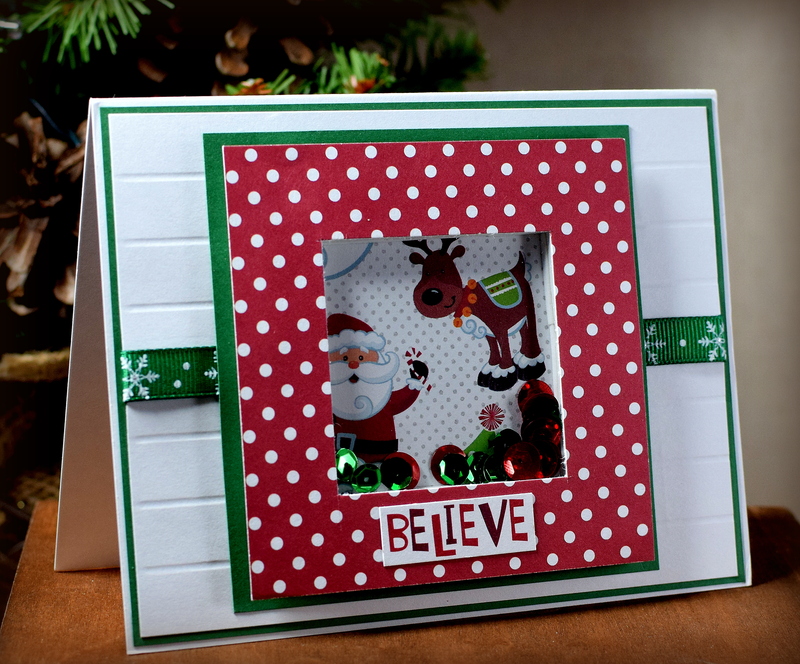 The center layered pieces were cut with dies from the Gina K Designs Fabulous Label die set. 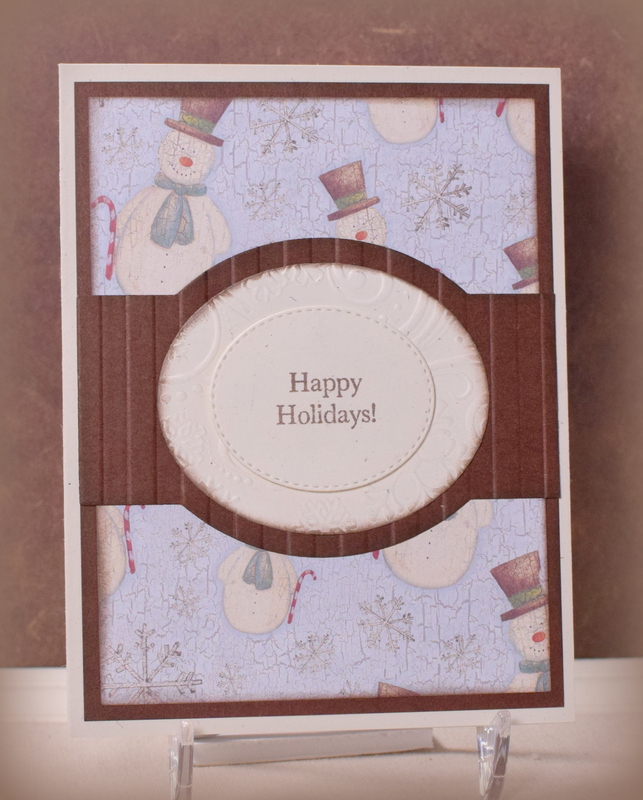 A Stripe Background embossing folder and a Snowflake Swirls embossing folder (both by Darice) were used to add texture to these panels. 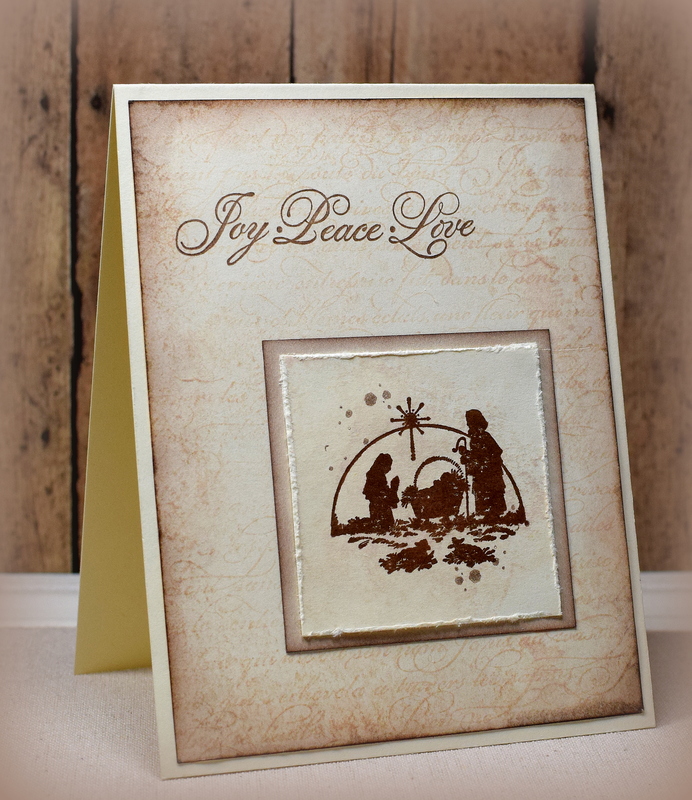 The greeting is from the “Peace and Joy” stamp set from Gina K Designs. Behind the greeting panel in the center is a small, strong magnet which allows the metal snowman to easily attach and detach. This panel was popped up with foam tape to accommodate the thickness of the magnet. 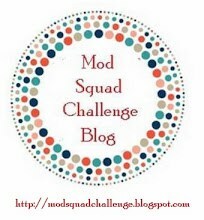 Thanks for checking out my card project.